A joint venture (JV) is a tactical partnership where two or more people or companies agree to put in goods, services and/or capital to a uniform commercial project. For any successful joint venture in India, compatibility between the contracting parties is key. To maintain a successful joint venture in India, the associated parties should have a clear goal and conditions should be written out in the clauses of the JV agreement. Establishing a joint venture company is the preferred form of corporate structure for foreign investors doing business in India. In this article, we briefly cover the advantages of choosing to enter the Indian market through a JV, the types of business structures available to JVs, regulatory and tax considerations, and key risk mitigation factors to ensure a successful JV operation. Why choose a JV in India? In sectors where 100 percent FDI is not allowed in India, a joint venture is the best medium, offering a low risk option for companies wanting to enter into the vibrant Indian market. All companies registered in India, even those with up to 100 percent overseas equity, are considered the same as local companies. Corporate joint ventures are regulated by the Companies Act, 2013 and the Limited Liability Partnership Act, 2008. Corporate JVs will also be subject to the country’s tax laws, The Foreign Exchange Management Act of 1999, labor laws (such as the Minimum Wage Act, 1948, Industrial Disputes Act, 1947, and state-specific shops and establishment legislation), The Competition Act of 2002, and various industry-specific laws. A JV may be formed with any of the business entities existing in India. Choosing a good home partner is the most important tool to the success of any joint venture. 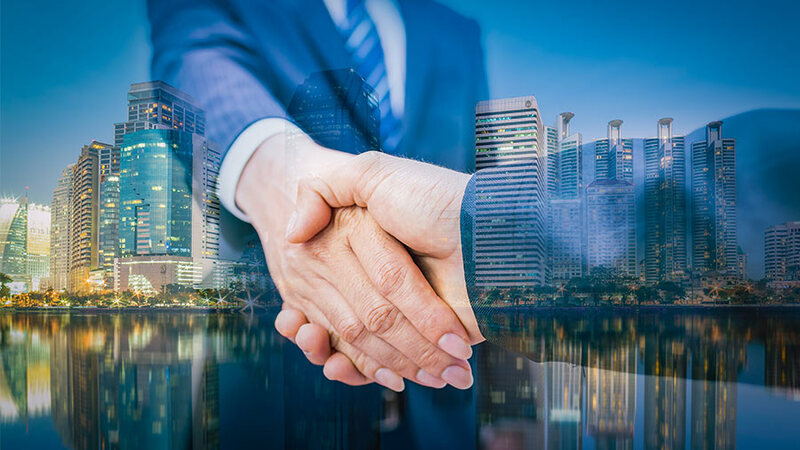 Once an associate is selected, normally a memorandum of understanding (MoU) or a letter of intent is signed by the parties – stressing the foundation of the future joint venture agreement. An MoU and a joint venture agreement must be marked after consulting a chartered accountant firm well versed in the Foreign Exchange Management Act; Indian Income-tax Act, 1961; the Companies Act, 2013; international laws and applicable Indian rules, regulations, and procedures. Terms and conditions should be properly assessed before signing the contract. Negotiations need an understanding of the cultural and legal background of all the involved parties. The JV union should obtain all the required governmental approvals and licenses within a specified period. Foreign companies no longer require a no-objection certificate (NOC) from the Indian associate for investing in the sector where the joint venture operates. Overseas firms in existing joint ventures can function independently in the same business segment. Previously, they needed prior approval from their Indian partners. Companies in India are grouped into two categories – companies owned or controlled by foreign investors and companies owned and controlled by Indian residents. This is an understanding whereby an independent legal entity is created in accordance with the agreement of two or more parties. The associated parties undertake to provide money or other resources as their contribution to the capital or assets of the corporate entity. This structure is ideal for long-term, broad-based joint ventures, and include joint venture companies and joint venture limited liability partnerships (LLPs). This type of joint venture might be used where the organization of a detached legal entity is not needed or the creation of such a separate legal entity is not feasible. This type of agreement is preferred in situations that involve a temporary task or a limited activity, or the JV needs to be established for a limited term. In case of a company JV, the parties to the arrangement may either incorporate a new company or collaborate with the promoters of an existing company. Setting up a new company provides the most flexibility as the entity can be structured according to the specifications, intentions, and obligations of the associated parties. In the case of an LLP, the parties to the JV incorporate a legal entity under the Limited Liability Partnership Act, 2008. This may be secured by setting up a new LLP by the JV parties or by transferring one partner’s stake in an existing LLP to the JV partner. A partnership JV is created under the Partnership Act, 1932. This type of JV includes aspects of a corporate JV and a contractual JV. The business structure of a partnership JV is typically defined by the relationship between the persons who agree to share the profits of their business, which is either managed by all of them or any of them acting for all. Where a JV is a strategic alliance, the parties involved will mutually agree to collaborate as independent contractors rather than be shareholders in a company or enter into a legal partnership. The JV contract in this scenario will state the rights, duties, and obligations expected of the partners to the JV and between the JV parties and third parties. The JV contract will also state the duration of their legal relationship. As the contract is binding on the parties, any breach will entitle the aggrieved party to seek legal action against the defaulting party. Access to the established contacts of the Indian partners, which will help ease the process of setting up operations in India. A JV also offers the associated parties an opportunity to jointly manage the risks associated with new ventures. Through a JV, they can limit their individual exposure by sharing the liabilities. It is important to have the same opinion over the proposed management structure and to categorize which party has to organize early in the joint venture procedure. The management constitution, control, and safeguards should be agreed upon when preparing the memorandum of understanding (MoU). In the case of JV companies, the Companies Act, 2013 requires the entity to have a Memorandum of Association (MoA) and Articles of Association (AoA), which serve as the charter documents of the company. Foreign investors should note that in India, the JV agreement between the partners will not bind the JV company unless its terms are included in the AoA of the JV company. Further, to avoid future conflicts, the JV parties should include a provision in the JV agreement stating that if the AoA is inconsistent with the provisions of the JV agreement, then the parties will amend the MoA and AoA accordingly. Earlier there were monetary caps on remittances (both lump sum fees and royalties) made for technology collaborations and license or use of trademark or brand name. Now, these restrictions and caps have been removed. India allows free of charge repatriation of profits once the entire domestic and federal (tax) liabilities are met. Historically, there has never been an occurrence that India has failed to provide foreign exchange for repatriation. Investment exit processes are also fairly simple, and profits can be repatriated once all the tax debt and other compulsions are fulfilled. Troubles only arise when people escape or dodge these liabilities, or do so out of ignorance. Joint ventures in India are normally planned for a particular period, and overseas companies should take the length of such a lifespan seriously. Indian joint ventures often fall short because the domestic associates are not capable to fund enough resources to expand the business as rapidly as the foreign company had hoped for or because the local partners have a data advantage in terms of the local conditions of doing business and have different interests from the foreign firms. It is therefore advisable to have a clear exit plan in place from the beginning. The general exit options available are: buy-sell agreements, unilateral sale rights, and, put/call rights. On the other hand, the Indian joint venture agreement may also provide for the termination of operations and the liquidation and closure of the venture. Any of those options can be used independently or in combination with each other. 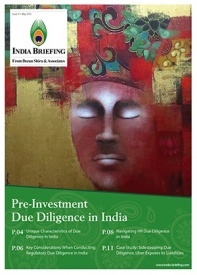 Overseas firms should conduct a formal due diligence check to evaluate the expectations and limitations of the Indian associate, to check the validity of the partners’ business operations, to review the validity of the documents produced by the prospective partners, and to evaluate any risk factors associated with the potential partners. 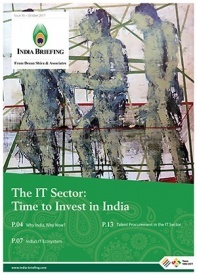 Foreign firms should reach out for tax advice at the beginning of an Indian investment. India has a very low entry threshold for creating a taxable presence. 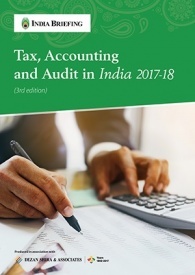 The sale of shares in an Indian company is usually taxed in India as capital gains, even if the seller is not a resident of India. India taxes such capital gains as well as interest payments at variable rates. Therefore, overseas entities and foreign investors are generally advised to invest through an intermediate jurisdiction. 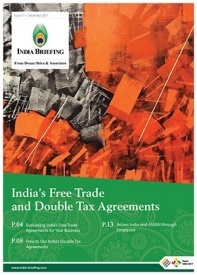 India has entered into double tax avoidance agreements (DTAAs) with countries across the world. Some of these DTAAs contain beneficial provisions with regard to capital gains tax and withholding taxes on interest payments. Favorable jurisdictions include Mauritius, Cyprus, the UAE, Singapore, and the Netherlands. India recognizes different types of intellectual property (IP), which are protected under separate laws. As a result, registering intellectual property involves navigating complex legalities and submitting numerous documents. This requires expertise and familiarity with procedural norms to ensure fast and effective registration. Overseas investors entering into JVs in India can protect their IP through registration and detailing provisions in the joint venture agreement. Additionally, independent documentation may also be executed, such as a name and logo license agreement (also known as a registered user agreement) with Indian organizations. Typically, the licensing agreement, know-how agreement, technical services or technical assistance agreement, royalty payment, franchise agreement, and agreement including all other profit-making matters, including the use of intellectual property rights form annexes or attachments to the main joint venture agreement. They can be signed simultaneously or after the joint venture company is recognized. 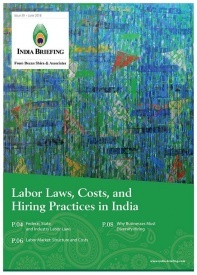 Indian labor laws mainly protect the interests of employees, particularly blue-collar workers (unskilled and semi-skilled category). However, the applicability of these laws depend on the type of industry, number of employees in the organization, and the designation and area of operation of the employee. No specific law governs the process of hiring employees and India does not mandate the need for a written employment contract. Nevertheless, foreign employers are advised to have a detailed employment contract in place, particularly if they operate in the information technology (IT) or knowledge industry sectors where employees are likely to generate forms of intellectual property. termination, as well as the company’s leave taking policy (casual leaves/sick leaves/privileged leaves). In a joint venture undertaking, it becomes very important to legally establish whether the employees are recruited as rehires or transferred from one of the existing partner entities; each will have its own set of legal implications. Editor’s Note: This article was first published in May, 2011 and has been updated to include the latest developments. we are looking for a strategic investment by a technically sound co.which is interested in investing in India and grow with us. Weare an infrastructure company very successful in the area of modernising airports ,having completed 32 airports to international standards.We are interested in Joint venture or strategic investment or total buyout proposals.the proposal is quite attractive as the company has impeccable record in its field. Thank you for writing to us, we provide the services for setting up an entity in India and other back office operations such as accounting, payroll, compliance and tax advisory. what are the requirements for a foreign company and a local Indian company to form a joint venture company? do we (the foreign company) need the following as well?